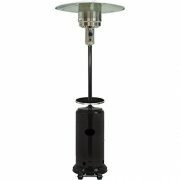 Rust-Resistant Black Powder-Coated Steel Stand with Stainless Steel Burner. 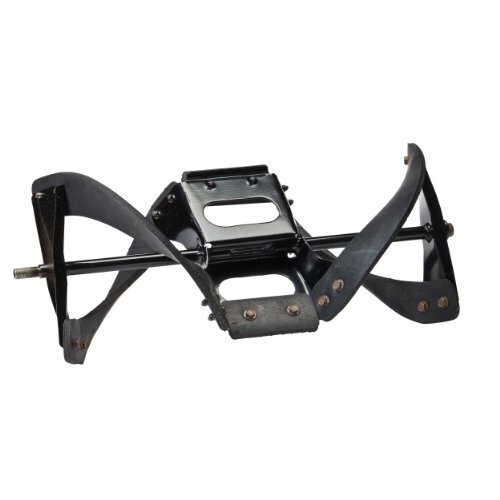 Weight Plate for Added Stability. 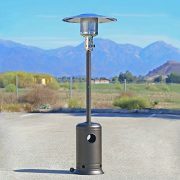 Uses 1 Pound Propane Tanks (Sold Separately). 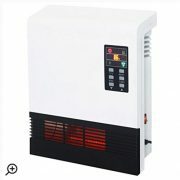 Silent operation and full heat output within seconds. 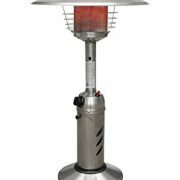 Perfect for patios, decks, hot tub & BBQ areas, garages, warehouses and workshops. 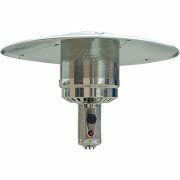 Weather proof IP65 rating. 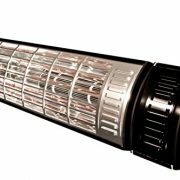 Read about IP65 before any purchase of any IR heater, make sure they are IP65 listed. 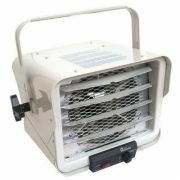 1500 Watt, 110v. 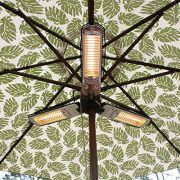 Engineered for both Indoor and outdoor use. 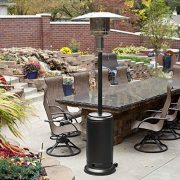 Perfect for patios, decks, hot tub & BBQ areas, Horse stables, Barns and so on. 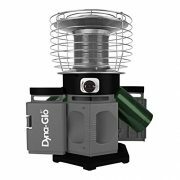 Gas appliances are the least expensive form of supplemental heat | No electricity required; Great during power outages | 30,000 BTU Infrared with thermometer heats up to 1,000 sq. 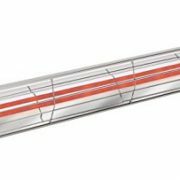 ft.
Quartz Glass Tube, Thermocouple and Anti-tilt Safety Devices. 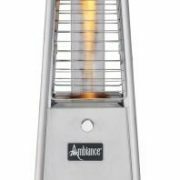 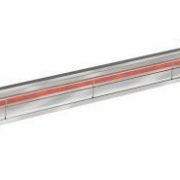 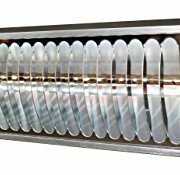 This multi-purpose heater is ideal for use on your patio, restaurant, pool deck, or for a party, wedding, or any outdoor event (patio heaters are not for use indoors, near combustible materials, or in partially enclosed outdoor areas such as tents). 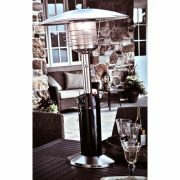 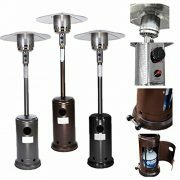 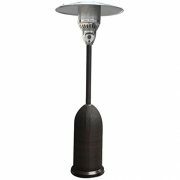 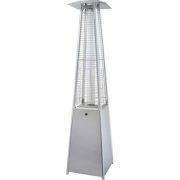 This patio heater is ideal to be a heater with multi-purpose that can use on party, wedding, outdoor events, patio, restaurants, pool deck & other type of events. 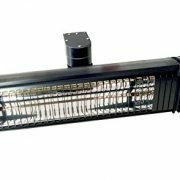 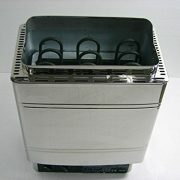 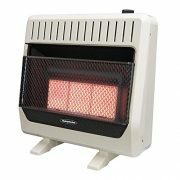 The heater is commercial quality and durable.